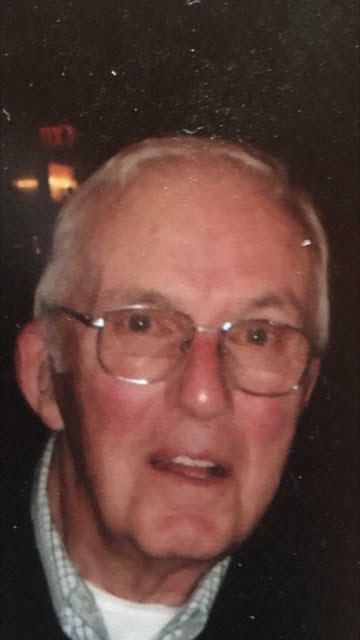 Charles J. Kent, Sr., 91, of Taplin Hill Road passed away Sunday, September 30, 2018 at his home following a period of declining health. He was born on January 25, 1927 to Charles H. and Mary M. (Gorman) Kent of Brockton, MA. Charles was a graduate of Coyle High School in Taunton, MA and a 1950 graduate of Boston College. He worked for Swift and Anderson in New York City prior to serving in the Korean War as an Ordinance Specialist in the US Army from January 1954 to December 1955. He met the love of his life, Catherine E. Mullins, on November 23, 1957 and they married on June 27, 1959. He was an educator, guidance counselor, basketball coach, job coach for special needs children, and summer school director for Milton School systems for 30 years. He and Catherine felt strongly about their Christian faith and for 25 years were involved in youth faith formation and marriage in the family at St Edwards parish in Brockton, MA. Their great faith and sense of community service extended to their retirement years when they continued to serve at Holy Redeemer Parish in Chatham, MA. Charles was a devoted communicant to Our Lady of Perpetual Help in Bradford, VT. He leaves his wife of 59 years, Catherine Kent of Corinth, VT; daughters: Mary C. Kent of Corinth, VT, Ellen T. Chrysogelos and husband John of Raleigh, NC, and Christine Piekarski and husband Peter of Harwich, MA; a son Charles J.Kent, Jr. and wife, Natalie of Holliston, MA; a brother Edward F. Kent of Brockton, MA, sister Mary Anne Kent of Brockton, MA and sister Claire Hamill of Glastonbury, CT; grandchildren: Nicholas, Emily, Daniel, Marissa, Camille, and Genevieve as well as many nieces and nephews. A Mass of Christian Burial will be celebrated at 3 pm Thursday, October 4, at Our Lady of Perpetual Help in Bradford, VT. Burial will be at Vermont Veterans Cemetery in Randolph, VT, Friday October 5th at 9 AM. Calling hours will be held from 12 Noon to 2:00pm (prior to the mass) Thursday, October 4 at Hale Funeral Home, 187 Upper Plain, Bradford, VT. In lieu of flowers, please make donations to Corinth Volunteer Fire Department /Fast Squad PO Box 294 East Corinth , VT, 05040. Attention : Ed Pospisil.